The Australian Youth Climate Coalition (AYCC) enjoys such a red-carpet ride into schools I am surprised principals haven’t just handed their classroom keys to AYCC operatives and gone home. AYCC in schools promotes its green message of “moving on” from coal and gas to “100% renewable energy” before 2024. Australian coal and gas exports currently are worth $40 billion and $30 billion respectively, and will be an engine of growth in the coming half decade, the AYCC’s worst efforts notwithstanding. Schoolkids also lap up AYCC’s moral fables of ‘saving’ the Reef/Environment/Planet/You Name It from fossil-fuel/Big Bank/IPCC-denying men in black hats. From the outset AYCC has targeted schools. Its 2011 report said AYCC submitted details on ‘sustainability’ teaching to the Australian Curriculum Assessment and Reporting Authority, “and based on our recommendations, they agreed to re-evaluate their approach to sustainability, resulting in some much-needed amendments. This was a great win for AYCC!” Today, “sustainability” is one of the national curriculum’s three mandatory cross-curriculum priorities that are said to “enrich” syllabi for schools. Last year, AYCC in its national “Start the Switch” program ran eight two-day school summits for a total 1000 students who were fed AYCC’s version of global warming catastrophes. “Start the Switch” then went on “to reach up to 20,000 young people through five regional workshops, high school presentations, and participant outreach in 400 schools.” This year, the AYCC’s Student Climate Action Network got under way, to “give high school students the extra support they need to successfully contribute to AYCC’s national campaigns.” One example of that support is the video below, part of the AYCC campaign to instruct both teachers and students in How to Talk About Climate Change. Another AYCC schools video features a pretty young blonde in blue AYCC rig-out promising (50 seconds in), “Ten years from now we will be at the start of our careers. Imagine if we had tens of thousands of new green jobs to choose from!” That green shtick is accompanied by images of anti-Vietnam-war protestors, Martin Luther King, and the famous “tank man” from Tiananmen Square. Various AYCC schools presenters have been trained by Al Gore’s Climate Reality Project. Mr Justice Burton of the UK High Court ruled in 2007 “that Gore’s video, An Inconvenient Truth, can only be shown to UK schools after teachers had read an alert to their students about the movie’s nine scientific errors.” No such alerts are required in Australia. Some Australian businesses that backed AYCC have got their just desserts. Former AYCC chair Anna Rose in her book Madlands referred to “the silent screams of our struggling planet” Today, the silent screams are more likely coming from former ally National Australia Bank. NAB as donor got its logo on the first four annual reports of the Australian Youth Climate Coalition from 2008. But last July, AYCC launched its “Dump My Bank” campaign, with NAB in the cross-hairs, along with the other three members of the Big Four. The accusation is that those banks ‘refuse to rule out’ lending to coal companies which are ‘destroying’ the Great Barrier Reef. NAB headquarters, branches and managers have been afflicted with AYCC zealots, plus mock screens on ATMs asking, “Wreck the Barrier Reef for a new coal port?”. AYCC’s Daniel Spencer says AYCC had urged the Big Four for a year without success to rule out financing the Abbot Point expansion, and now AYCC is taking the campaign to the next level by asking customers to move their funds elsewhere. I noticed this graffiti (below) on my ANZ and Westpac terminals at Moonee Ponds today. It seems to originate from a Friends of the Earth affiliate, but the message is identical with AYCC’s. A big beneficiary of the Dump My Bank campaign is Bendigo Bank, rival to NAB and Westpac. Community-based Bendigo Bank has no Queensland resource developments to worry about. Bendigo Bank doesn’t donate to AYCC. That would be crass. Instead the bank is a dominant donor to Cool Australia, which greenwashes the brains of students in half of Australia’s primary and secondary schools. Cool Australia, in turn, promotes AYCC and AYCC’s Dump My Bank campaign to the kids. The ultimate power in AYCC is held by a group known as “Full Members” who pay a token ($10) joining fee and elect the directors. Who these Full Members are, I can’t discover. The only hint is in the 2011 report, where a dozen “partner groups” are listed, such as the Youth Affairs Coalition, Law Students’ Association, and Engineers Without Borders. The report says these groups “continue to play an important role in electing the board”. But the 2013 and 2014 reports are silent even on who the “partners” are and what role, if any, they play. AYCC’s Spencer says AYCC structure changed, that it is now an independent organization, working in partnership with others but with no formal ‘coalition’. In other words, some cross-promotion and ad hoc joint efforts. The money side of AYCC is also worth exploring. AYCC likes to pose as a minnow compared with the likes of WWF ($30m revenue) and Greenpeace in Australia. That’s true, but AYCC’s latest annual revenue of $1.1m is not trivial. 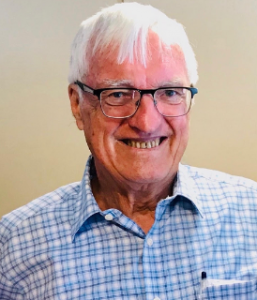 Just as Cool Australia has its millionaire backers (the Kimberley “Just Jeans” family), AYCC from inception has been backed by aged-care and radiology ex-tycoon Robert E. Purves. Purves 56, is a Governor of AYCC and his fund matches AYCC donations dollar-for-dollar. Purves rates AYCC, which he has supported since 2007-08, as his best charity project. In addition, he has funded special AYCC projects and provided non-cash help for AYCC to “solve the climate crisis”. Purves, with sister Sandra, inherited a fortune from their father, Sir Raymond Purves, in the shape of 18% of loco-maker Clyde Industries. The 1994 BRW Rich List put Robert and Sandra’s net worth at $55 million, and in 1999, at a peak of $87m. Robert as DCA Group chair and a pioneer shareholder, developed it to an aged-care and radiology giant from a $10m start-up. In 2004 he sold half his DCA shares (for an amount I can’t discover), and with a $10m deposit, started the Purves Private Fund Trust charity. Two years later, DCA was bought by a Citigroup affiliate for $2.7 billion. Since 2004, Purves’ top-level environment fund has been doing fine. From earnings and capital growth of more than $3 million per annum for the past two years it has donated about $1.2m pa to environmental not-for-profits and used the balance to build up its reserves. After a decade of giving, the fund’s net assets grew handsomely to $16.2 million last year. Purves has also gifted more than $5 million personally and helps fund Earth Hour Global and other eco-silliness. Purves also helps fund Cool Australia’s work pumping green and climate-change education into the school system, with the backing of the education unions and a host of curriculum apparatchiks and politicians. A grazier in the NSW southern highlands, Purves has funded many worthwhile land-care projects. However, he was bitten by the climate-catastrophe bug and got himself on ABC TV by going to Greenland in 2011 and hyper-ventilating about the alleged melting of the ice-sheet. Purves has backed Tim Flannery’s views with adulation and money, for example financing conversion of Flannery’s apocalyptic tome The Weather Makers into lurid memes for schoolchildren. In 2005 he started, and still funds, the formalized Wentworth Group of Concerned Scientists, which combines useful land and water care with global warming horror-shows from the likes of Professors David Karoly, Lesley Hughes and drought-forecaster Flannery. AYCC’s income under the heading ‘Philanthropy’ was $221,000 in fiscal 2014, compared with ‘Donations’ of $529,000. ‘Philanthropy’ appears to include the income from Purves trusts. In the past four years, AYCC ‘Philanthropy’ income has averaged about $240,000. Curiously, in late 2011, AYCC said most of its core funds came from “grants from philanthropic foundations”. In respect of project funding, it listed companies, other non-profits, foundations, major donors, governments and finally “small individual contributions from our members” . The AYCC’s statutory report says it received $96,000 in government grants in fiscal 2014 (9% of revenue), compared with only $24,000 (3%) in 2013. But in fiscal 2012, taxpayers kicked in $270,000, or 34%, of AYCC income. Nice to know that taxpayers are underwriting the efforts of children and their handlers to attack our key exports. AYCC statutory accounts show that its leaders are not money-oriented. Good for them. When first establishing AYCC, Anna Rose worked for nothing, relying on two days paid work with GetUp to cover the rent. For the first two years, no-one at AYCC received a proper wage; thereafter pay was about $20 an hour. In 2013 the total pay to ‘key management personnel’ was only $130,000, up from $93,000 in 2012. In 2014 the total fell to $104,000, with new information that the $104,000 covered two people (possibly not for the full 12 months each). National co-directors at that time were Kirsty Albion and Lucy Manne (daughter of Latrobe’s Robert Manne). Lucy Manne left early this year. Albion is now National Director. National co-directors at that time were Kirsty Albion and Lucy Manne (daughter of Latrobe’s Robert Manne). Lucy Manne left early this year. Albion is now National Director. I met her at a ‘non-political’ evening at the Moonee Valley City Council last August. AYCC’s Spencer says AYCC funds are tight and wages are in line with award requirements. The non-monetary rewards are considerable. Apart from frequent travel to UN jamborees (where AYCC leaders work even harder than normal), a spell running AYCC is enough to get a young woman showered with honors and career paths for having saved the planet. Rose alone has collected eight gongs, and four out of five finalists for (Labor’s) Prime Minister’s Young Environmentalist of 2013 were AYCC women. One of AYCC’s proudest moments was scoring an interview with then-IPCC chair Rajendra Pachauri at Cancun in 2010. One hopes that the randy warmist kept his mind on catastrophism, rather than carnality. Perhaps the AYCC should now take a break from saving the planet, and mobilise its kids to save Pachauri, 74, who quit the IPCC chair abruptly in February after 11 years at the top. New Delhi police have charged him with sustained sexual harassment of a 29-year-old female employee, and if convicted he could get seven years. LNG export volumes will treble to $47b, for example. AYCC annual report, 2014. P8. AYCC’s Spencer says the previous target of 41,000 GwH of renewable power by 2020 involved 24,000 prospective green jobs. Base load power would come from new solar-power concentrators and new types of battery storage. Westpac/AFR in 2014 named AYCC co-founder Amanda McKenzie as one of their 100 Australian ‘Women of influence’. Flannery’s Climate Council also does not disclose its board-electing “Members”. Perhaps the Charities Commission should include this information in its mandatory reporting requirements. He’s also president of WWF Australia. In 1942 a flight of six US Lightnings, ‘the lost squadron’, crash-landed on ice near Greenland’s east coast. In 1992 the planes were discovered, below an astonishing 82 metres of ice. So much for the ‘melting Greenland ice-cap’. In 2012, the full-time Director of Operations and the Campaigns Manager were on only $40,000 each.